How do you fix the laws and policies governing the American economy that are rigged to benefit the wealthiest individuals and largest corporations? Good question. Read this report, “Rewriting The Rules Of The American Economy: An Agenda For Growth and Shared Prosperity. You want details? These folks came up with 37 specific laws and policy changes to restore fairness and balance to the economy without undermining American capitalism. 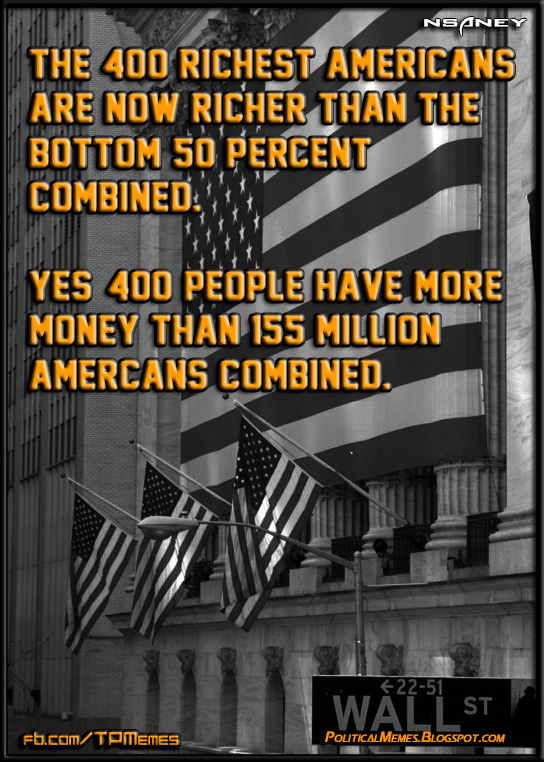 “Skyrocketing incomes for the 1 percent and stagnating wages for everyone else are not independent phenomena, but rather two symptoms of an impaired economy that rewards gaming the system more than it does hard work and investment," according to the report.